Palestinian amora of the third generation (4th cent. ); the son, perhaps, of the celebrated R. Ammi (Bacher, "Ag. Pal. Amor." iii. 715). His house was a rendezvous for scholars, and R. Ze'era, when exhausted by study, would sit at the threshold of Judah's house, so that as the rabbis came and went he could rise in their honor ('Er. 28b). 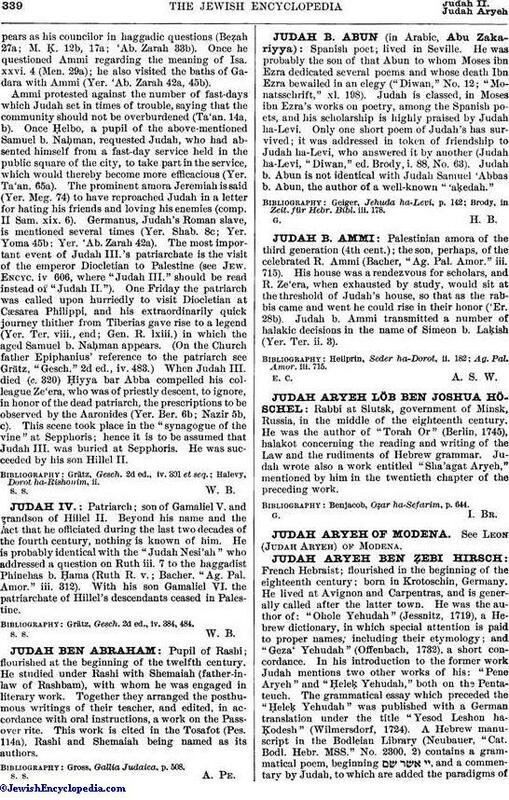 Judah b. Ammi transmitted a number of halakic decisions in the name of Simeon b. Laḳish (Yer. Ter. ii. 3). Ag. Pal. Amor. iii. 715. E. C. A. S. W.